We decorated Easter eggs last night by melting crayons! 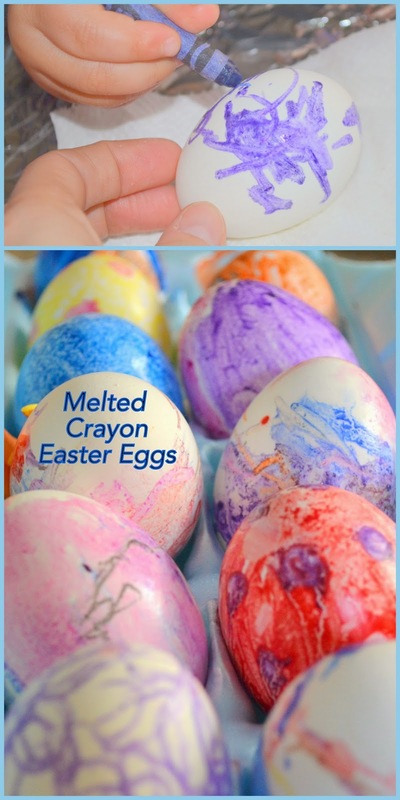 I stumbled upon a cool new way to decorate Easter eggs by using crayons while the eggs are still hot when perusing Pinterest. It was very simple and also not very messy. We decorated them this way with a 9 year old (my cousin Mindi) and a 2 year old (Eliana) - both seemed to enjoy the new process and results. 1. Hard boil eggs: Place eggs in a pot. Cover with a few inches of water. Place pot with lid on the stove and turn on high. Once the water starts boiling turn down the heat and let the water simmer for about a minute. Remove the pot from the heat, but leave the lid on the pot for 10-12 minutes. The eggs should be "hard boiled". 2. Find crayons and create a work surface: We worked on tin foil (I just happened to have some leftover at the moment because I was prepping dinner just prior to egg decorating) and paper towels to catch the wetness from the eggs as they are removed from the pot. I kept the eggs in the pot of hot water and took 1-2 out at a time to decorate so that the others would remain warm. 3. 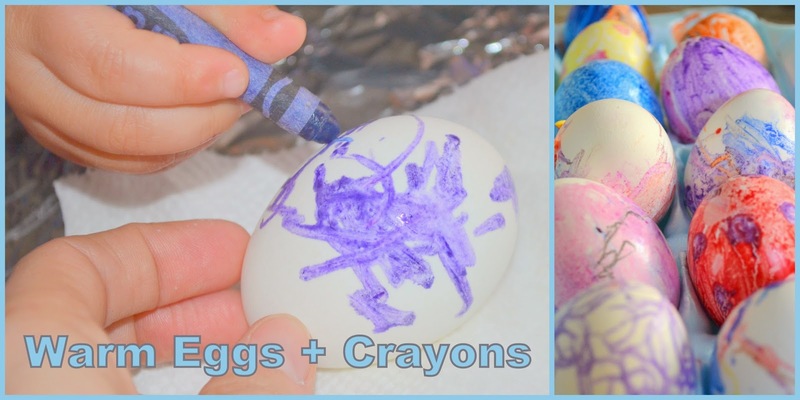 Decorate the eggs while they are still warm with crayons: The wax from the crayons will melt as you color. It is almost instant! Within a few seconds of the crayon touching the surface of the egg it will start melting and sticking to the surface of the egg. How are you decorating your eggs this year? Happy Easter From The Edwards' Family!